General Purpose easy tear vinyl duct tape , general holding & bundling. We “Shree Electricals” are well-recognized organization involved as a Sole Proprietorship (Individual) based firm. The headquarter of our firm is situated at Bengaluru, Karnataka. 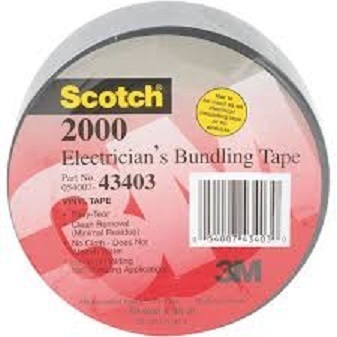 Since 1975, our firm is engaged as the distributor of Vinyl Tape, Mastic Tape, Adhesive Tape and 3m Insulation Tape. These products are known for their best quality at the practical cost in the fixed time period. These products are designed by our adroit professional.